Senior CAD Drafter at Peoples Associates Structural Engineers, Rick Santa Cruz III, has been moderating personalized BIM sessions for our engineers. With 10+ years of experience in the structural engineering industry, coupled with specialized training and education, he shares his insights on how BIM is changing the AEC industry and how a structural engineering firm like PASE fits into this development. How would you describe the connection that links technology and structural engineering? Rick: In the ever-growing field of plan development, technology has always played a vital role in analysis, building information, productivity and deliverables. More than a few years ago, CAD (computer-aided design) software seemed to be the only constant. CAD was user friendly, as well as user-defined. The possibilities were endless. Have you noticed any deficits in the connection between the user and the software? Rick: As an attested CAD operator/drafter myself, it felt as though understanding the software and implementing it into drawing production became, in a sense, an assembly line. The data had no depth, nor was it valuable beyond the quality of the documents it created. It was an interpretation of one user’s idea of a structure that was then simply put onto paper. Even the best structural engineers and drafters could overlook intricate details. Don’t get me wrong, CAD is a great tool. In a lot of cases, it’s the best tool for the job, and is still an important part of our workflow today at Peoples Associates. However, taking our firm to the next level, and evolving with demanding growth by way of new technology, will always be at the forefront for PASE. What new or additional technology can solve these deficits? Rick: Fast forward to present time–BIM has become a staple in design development. According to the US National Building Information Model Standard Project Committee, “BIM (Building Information Modeling) is a digital representation of physical and functional characteristics of a facility. BIM is a shared knowledge resource for information about a facility forming a reliable basis for decisions during its life cycle; defined as existing from earliest conception to demolition.” (source) We also hear the term “database” associated with BIM. It is all of the above, and should be respected in that way. Every contribution should be a vital component to the workflow and progression of a project. How should BIM be integrated current workflow practices? Rick: In order to utilize the full benefits and capabilities of BIM, one must understand the software and features to produce a quality 3D model before attempting to produce construction documents. I’ll also go a step further and suggest that “old school” brainstorming take place, even before starting up the software. Undoubtedly, the coordination of design teams play an important role in the approach and life span of a project. Proper communication and project-specific planning is key. Do you foresee any obstacles with the integration of BIM in relation to structural engineering? And how should structural engineering firms approach them? Rick: We’ve had our fair share of obstacles with BIM. Anywhere from shear project size and detail, to the software being incapable of understanding the concept of an entirely interconnected design. Some of the questions we ask ourselves as a structural engineering firm are: Where do we fit in when it comes to BIM? What is expected of us, and what can we do to better utilize the software at hand? One could say BIM is better equipped for an architect or a mechanical engineer–but we beg to differ. The reality is that not only are we expected to follow suit in this three-dimensional, database environment, but we also want this software to be our own. In other words, we want BIM to be a necessary component in not only our workflow as structural engineers, but also in moving a project forward with all of the teams involved. The software should be able to accommodate our design processes, and it should be able to work for each of our design applications. Using BIM to enhance our productivity is an understatement, for we also strive to make BIM reliable in the structural engineering industry. 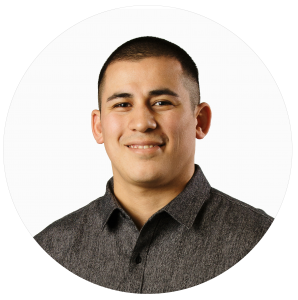 Meet Rick Santa Cruz III–Senior CAD Drafter at Peoples Associates Structural Engineers. Rick has worked as a Structural Design Drafter for 10 years, and has been coordinating PASE’s BIM efforts since 2013. He studied “Design Drafting Technology” at Mission College in Santa Clara, in order to launch use of Autodesk Revit at PASE. With the AEC industry turning towards cloud-based, all-encompassing design tools, training our staff to utilize all that BIM has to offer not only helps efficiency and collaboration in-house, but also with our clients. 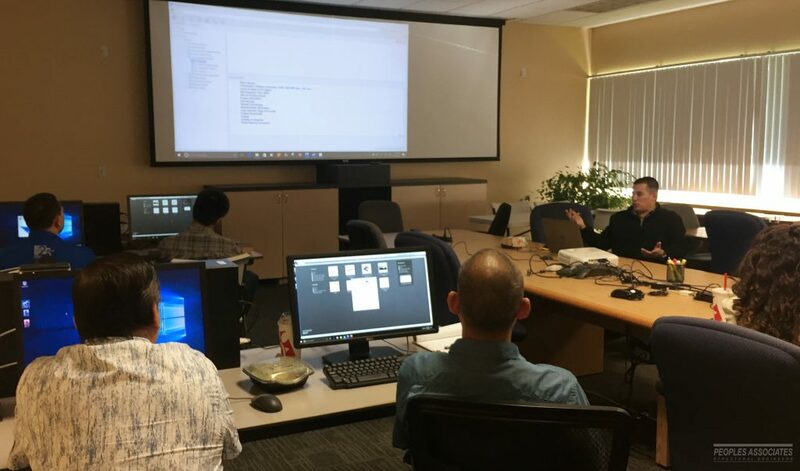 As our Revit training moderator, Rick not only sees this vision, but is excited to see how the AEC industry develops with the use of this software in all stages of a project.